Find all Montage Residences for Sale in Deer Valley below! If you're looking for THE ULTIMATE ski-in/ski-out Deer Valley condo with all the amenities of a five star hotel, look no further than the Montage Deer Valley Residences! 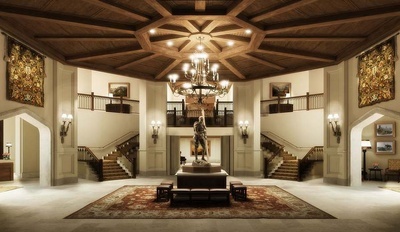 The lower levels of this exquisite Empire Pass, Deer Valley resort comprise the standard hotel rooms, spa, restaurants, conference center, and common areas. The exclusive privately-owned Montage residences are located on the top six floors of the property. All Montage DV residences on the 8th and 9th floors (all units starting with an 8 or 9) come fully furnished and appointed included in the purchase price. Montage residences found on the 10th floor and up are offered unfurnished, so you can customize the design elements of the condominium interiors to match your personal preferences. Are you interested in learning more about the available Montage Deer Valley condominiums? Check the below listings, or read on if you'd like to learn more about this exclusive property! Quickly & easily gather all the info you need about Montage. 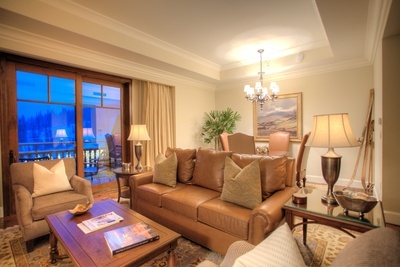 We have helped numerous families explore and purchase Montage residences. Our FREE Park City & Deer Valley Real Estate Concierge is at your service! 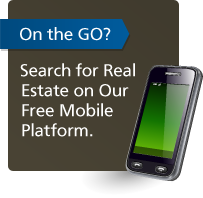 Call toll free 1-800-485-0218 or use our Live Chat for instant answers to your Montage DV real estate questions. Found in the shadow of the resplendent Wasatch Mountain range, Montage Deer Valley residences offer an incredible level of luxury amenities at Ski Magazine's "Best Resort" many years running...Deer Valley® Resort. 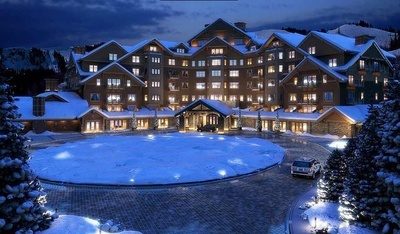 unrivaled in a ski resort anywhere in the United States. 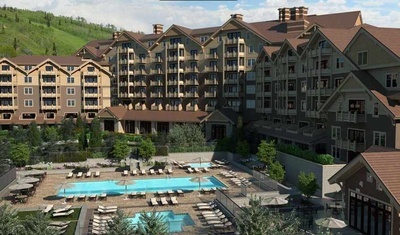 The Montage Deer Valley condominiums range in price from $2 to $10 million. Floorplans range from one to four bedrooms, and sizes range from approximately 2000 sq ft up to 6,800 square feet. Without a doubt, the best feature of these ski-in/ski-out properties for sale is the thrilling alpine lifestyle you'll be afforded. You get to start your ski day at the top of the mountain...a claim that neither St. Regis nor Stein Eriksen owners can claim. So on the best Deer Valley powder days, just walk downstairs and hop on the Empire Canyon Express chairlift! Ownership of a luxurious Montage residence gives owners easy access to the resort's 5 restaurants, 35,000 square-foot spa and pool area, shops, restaurants, and the rest of the hotel's amenities. From just outside the hotel's front doors you'll gain access to 3 ski runs directly adjacent to the hotel, completing the ultimate ski in/ski out experience. In the summer, you'll also be able to enjoy the great outdoors to the fullest with a heated, outdoor pool and a mountain bike pro shop, providing all the gear you'll need on the mountain. This quote from one of our clients who purchased a couple of Montage Deer Valley Residences says it all... "My kids have stayed at luxury properties around the world, and when we ask them where they want to go on vacation they always yell, 'Montage'!" And what's not to like? Kids receive gifts from the front desk staff at check-in, they can play in the sprawling outdoor pool, snack on a dazzling array of s'mores by the fire every evening, grab wood-fired pizza at the family friendly Daly's pub (includes an adjacent kids room with arcade games), kid's clubhouse, sledding hill right outside the doors to the hotel, and even a bowling alley round out the amenities your kids will love! Immediate ski in/ski out access to the slopes of the Deer Valley Ski Resort, including ski valets and personal attendants who will help you and your family put your boots on to start your ski day. Among the most exclusive & luxurious resort communities in the country--recently recognized as a Five Star Resort by Mobil/Forbes. All the amenities of a luxury, 5-star hotel. Are you interested in learning more about the available Montage properties for sale? We encourage you to get in touch with us online, or call 1-800-485-0218 to consult an experienced Deer Valley real estate agent who know the intricacies of Montage DV condominium ownership.